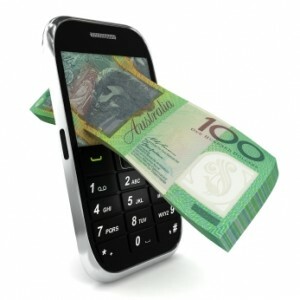 Mobile devices provide a unique opportunity for businesses and individual developers alike. The rise in use of smartphones and tablets has seen an explosion of opportunity to develop software that takes advantage of these unique features, connectivity and portability. 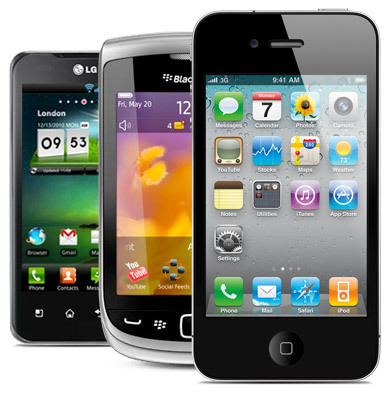 Irrespective of the device you choose, Apple iPhone or iPad, Android, Windows Phone 7 or BlackBerry, the potential to deliver unique and innovative mobile solutions is limitless. While each mobile platform is unique, the success of any application relies upon an efficient and well thought-out design which considers the best ways to utilise the capabilities of the device to ensure that you can deliver the best possible user experience. The iApps development team contains a broad level of experience across a variety of industries working with both local and international companies. This experience ensures we understand your needs and not only can deliver a solution that meets your immediate requirements but also help you set a clear roadmap for future development. iApps bring a professional approach to every project and have a complete team that will be working to deliver a return on your investment. The term ‘app’ is actually a bit of a misnomer…. While many people may consider the mobile platform to be a new environment, that is only partially true. While the delivery mechanism has changed (it is now the mobile device), the underlying interface still relies on traditional programming code and a legitimate understanding of software development is required if you want to build a mobile application properly. iApps is more than just an ‘app builder’, we pride ourselves on building mobile solutions that provide a unique user experience, take full advantage of the devices capabilities and deliver on your project or business objectives. An ‘app’, or mobile application is really a software program that has been written to take advantage of the device capabilities available. As with any industry, there are certainly some cheap and easy ways to get things done and “app development” is no different. However with most simple solutions come limitations and they also often fail to adhere to proper design principles in aid of keeping things simple and easy, rarely provide a long-term solution and often end up costing far more in the long-run. The term “mobile application” actually reflects the description more adequately and the team at iApps is composed of software engineers, analysts and programmers who have years of experience in developing software solutions well before mobile devices became popular. This experience allows us to take ideas in any market and turn them into exciting mobile applications. However we want to be sure you understand that you are taking on a serious project and our aim is to help you to create the best application to meet your needs. No matter what your level of experience, iApps have proven systems in place to walk you step-by-step through the process and we are happy to work under our standard Non Disclosure Agreement to protect our discussions. Unfortunately there is no way to give you a “ball park figure” without first reviewing a written brief. This reduces the chance for any confusion and ensures that we have a clear understanding of your requirements to pass around the team for review. iApps develop all of our projects from the ground-up and each custom application is designed to your unique requirements. 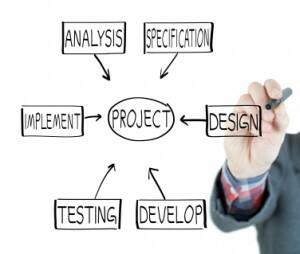 As a result of this, every project has a ‘foundation cost’ that includes developing the detailed project plan, producing graphics and preparing the core programming elements (including writing any database or interfaces with existing systems that may be required). This ‘foundation development’ usually takes around 1-3 weeks to complete and make up around $8,000 – $10,000 of the final application costs which then increases depending on the additional features and functionality required. Our step-by-step process is designed to help us both get a complete understanding of your requirements before you need to commit to the complete development. Even if you are not quite sure if your idea will work, or want to develop a complete mobile roadmap for your business, we offer half-day “App Strategy Sessions” for $7,500. 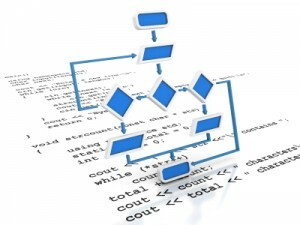 Alternatively, our complete “Deep Dive Workshop” for $5,500 includes a 3-hour session with one of our System Analysts to thoroughly explore your requirements allowing us to develop a complete High Level Design document for you including Wire-Fame Flow Diagrams that show the complete outline for your application. Ensuring that we have a complete understanding of your requirements is how we do business here at iApps. Our experienced team is happy to guide you through the process and we have regular sign-off points and set payment stages to ensure that we both have a clear understanding of what is happening and we want you to be thoroughly happy before you proceed to the next stage. As mentioned earlier, one of the first things that most people want to do is ensure that your idea is protected. In order to get started, simply enter your contact details below and give us a bit of an indication of what your app is about (so we can do some initial research before we speak). You will immediately be emailed a copy of our Non Disclosure Agreement (NDA) and our Project Brief template (if you need some help explaining your idea) – otherwise we are happy to review any existing brief that you may have prepared. You can contact us during normal business hours on 1300 665 900 or let us know in the comments below when the best time to get in touch with you is. We look forward to doing business with you and hope to speak with you soon.